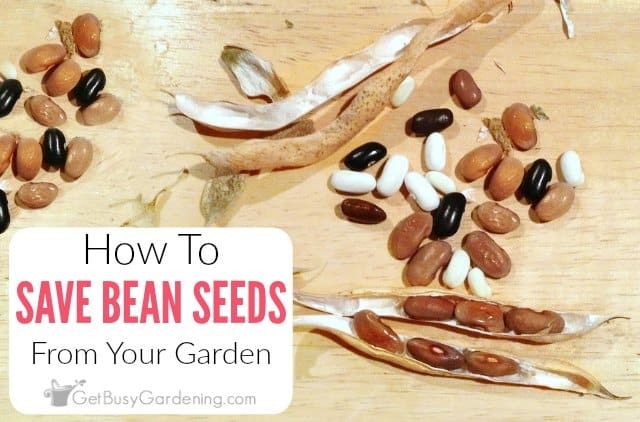 If you want to collect seeds from your garden, bean seeds might just be the easiest to start with. 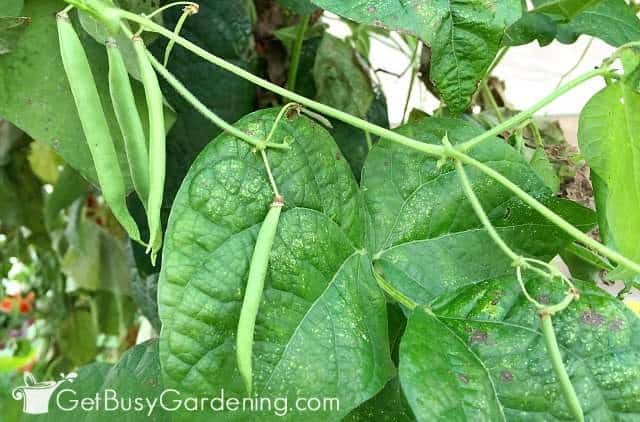 In this post, I will show when to harvest beans for seed, how to save bean seeds for next year step-by-step, and also how to store the seeds until spring. Beans are one of the most commonly grown vegetables in home gardens. I mean, who doesn’t love garden fresh green beans? Yum! Not only are beans super easy to grow, you can also save bean seeds and grow them again next year – for free! I collect tons of different types of seeds from my garden every year, and beans are no exception. Beans grow so fast, and sometimes they are really hard to spot on the plant. Many times you miss a few here and there. You know those giant beans that look like arthritic fingers that seemed to have grown overnight? Well, those are too tough to eat, but they’re perfect for saving bean seeds. 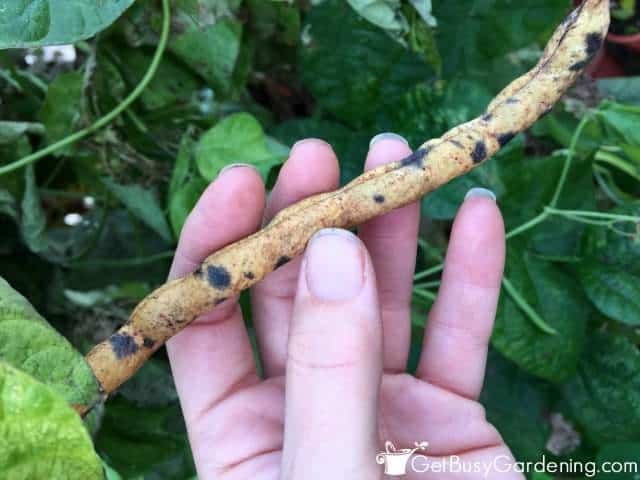 Leave those giant beans on the plant until they turn brown and dry out. Often times I will find a bunch of dried out beans on the plants as I’m cleaning out the gardens in the fall. You’ll know the beans are ready to harvest when the skin is dried out and brittle. What Do Bean Seeds Look Like? Depending on the variety of beans you grew, your bean seeds might be anywhere from white in color, to brown or even black. It’s easy to harvest beans for seed. 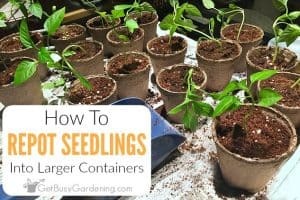 Once it’s ready, just pull or cut the bean pod off the plant and drop it into a container. 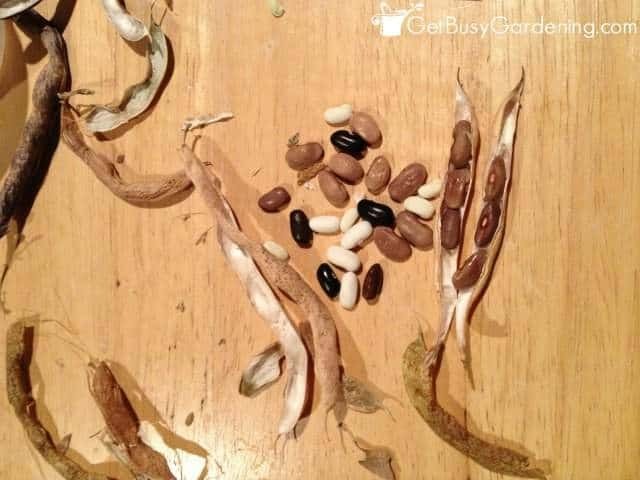 After you gather the dried bean pods from your garden, collect the seeds by breaking open the beans. Try to do this as soon as you can, especially if the bean pods are wet. You don’t want to let the bean seeds sit in the pod for too long or they might get moldy. After you remove the seeds from the bean pod, allow them to dry out completely before storing the seeds. You can store your bean seeds in a plastic container (film canisters are perfect for this), a paper bag or seed envelope until spring. 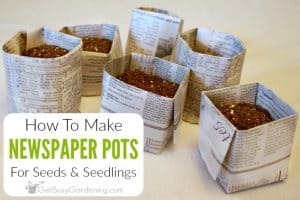 If you want to share your seeds with friends, you can buy customized envelopes, or make your own DIY seed packet envelopes. I like to store my seeds in a clear plastic shoe box container, but if you’re more organized then I am, a Seed Keeper would be perfect for you! It’s pretty easy to find lots of different kinds of bean seeds for sale at any garden center mid-winter through spring. You can always buy bean seeds online any time of the year. Here are some great, quality bean seeds you can buy to get started… Kentucky Wonder Bean Seeds, Blue Lake Bean Seeds or Purple Bean Seeds. 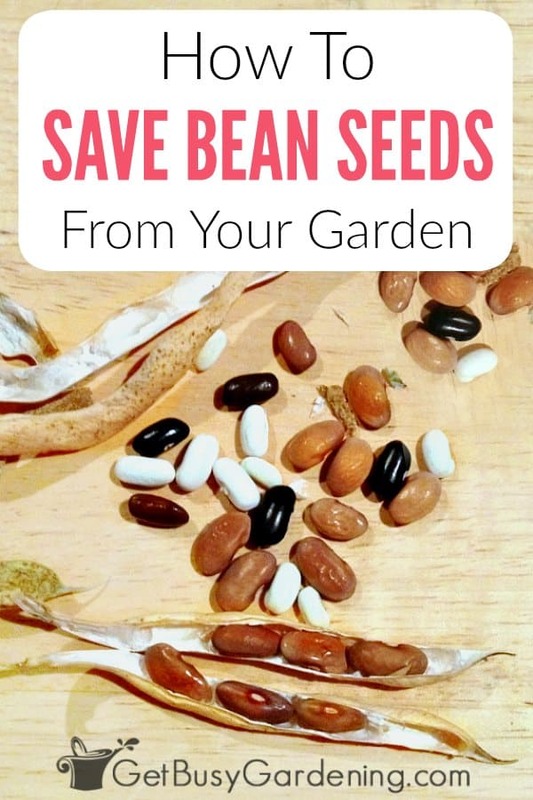 Saving bean seeds from the garden is fun and easy, and it doesn’t take much time. You can store them for planting next year, and share them with friends! 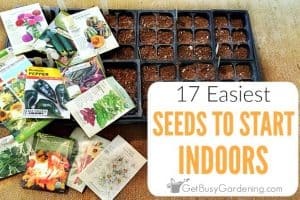 If you want to learn how to start your seeds indoors for your summer garden, then my Starting Seeds Indoors eBook is for you! It’s a quick-start guide for beginners to learn how to get started with growing their own seeds. Download your copy now! Share your tips for how to save bean seeds in the comments section below. I save the seeds from the pods that have the most seeds in them hoping to “improve” the harvest next year by having, on average, pods with more seeds. I also freeze them before storing them if putting them aside for winter eating. I don’t want bean weevils hatching in the storage jars.